You Can't Fake Real Bar-B-Que! Breakfast served 'till 11am Monday-Friday & 'till noon on weekend. All Eggs and Omelettes served with Potatoes, Grits, or Oatmeal and Toast or Biscuits. (English Muffin, or Bagel $0.50 extra) Egg White or Egg Beater .75 cents extra. Tomato instead of Potato .70 cents extra. One egg with Bacon, Ham or Sausage. Texas Toast or Biscuit, Home Fries or Grits. Two eggs scrambled with Ham, Bacon and Sausage on Biscuit with Gravy and Home Fries. 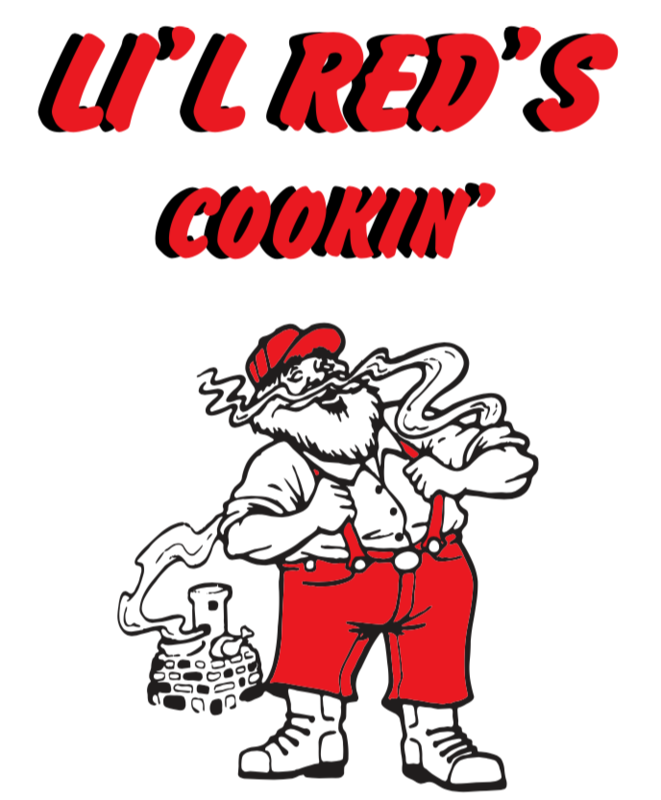 Note: Li'l Red's assures you that we use only fresh chicken and the finest pork ribs. They are marinated in our own original blend of seasonings, then cooked slowly for hours in our wood burning BBQ pit, and finally braised on the open grill. Due to our special cooking process, Bar-B-Q meats will appear to have a reddish tint! All Non-Alcoholic Beverages are Available for Take-out. All entrees are served with a choice of two side orders and Texas Toast. Ribs, Chicken, Pork Chop, Beef, Pork, Smoked Sausage and 3 side orders. No substitutions. All sandwiches are served on Texas toast w/ choice of 2 side orders. Served on Texas Toast or Sesame Seed Bun w/ two side orders.